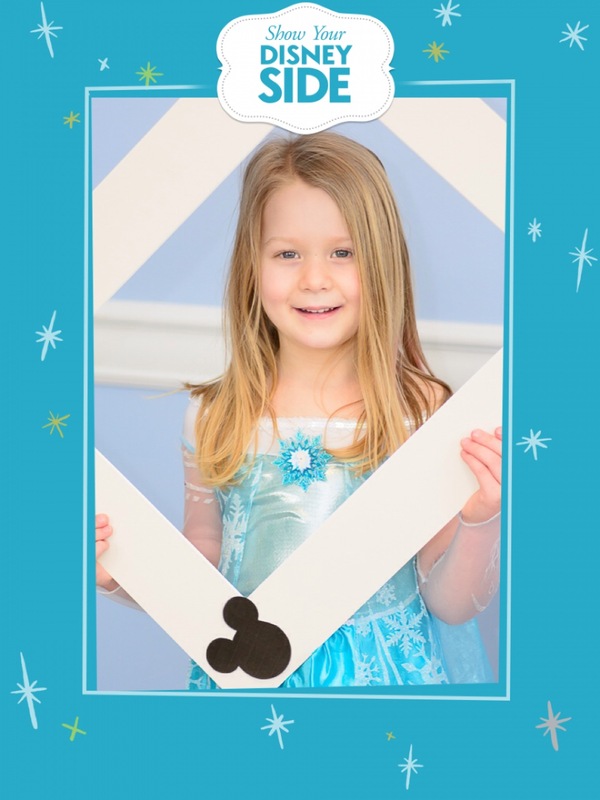 How Many Ways Can You Show Your #Disneyside? 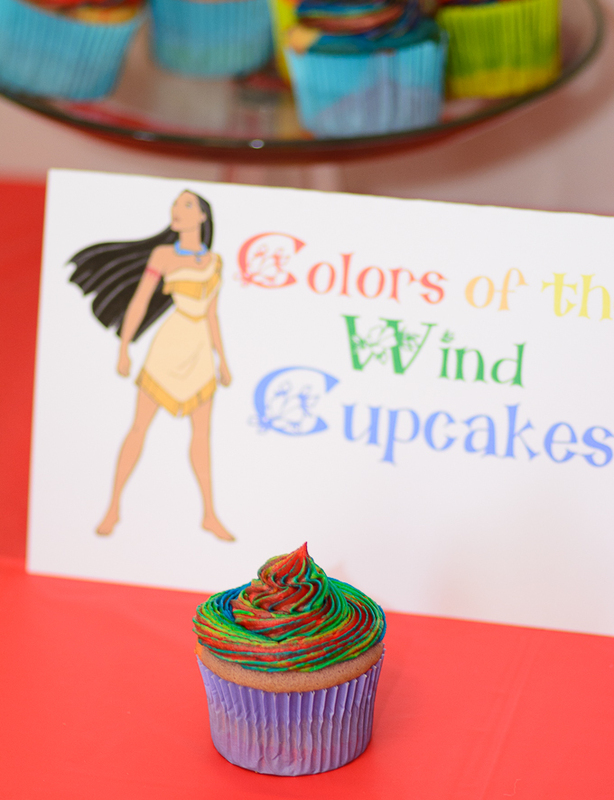 Thank you to Mom Select and Disney parks for providing a box of goodies so I could host this great party! 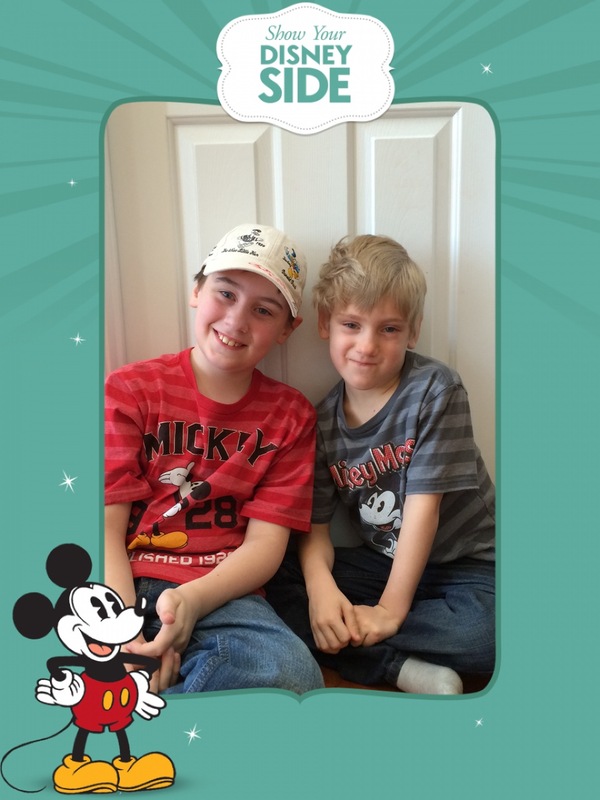 When we aren’t visiting a Disney park or planning our next visit, you can find us cuddled up on the couch watching our favorite Disney movies on a lazy Saturday afternoon, or belting out Disney songs at the top of our lungs on the way to the grocery store, we are proud to show our #Disneyside any chance we get. 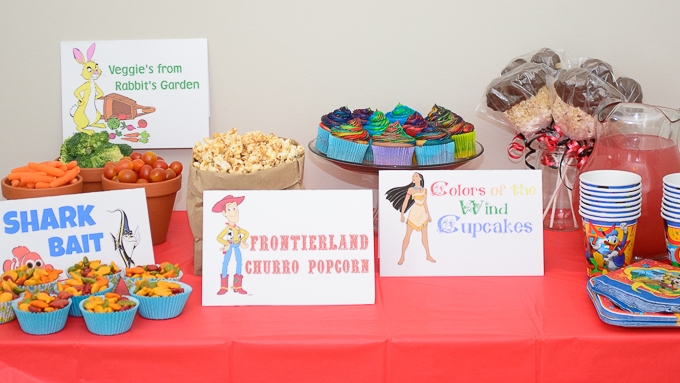 I’ve been blessed to have friends that are just as in love with Disney as we are, so when a big box of Disney party goodies showed up on my door, it was a no brainer who I was going to invite to my #Disneyside party! 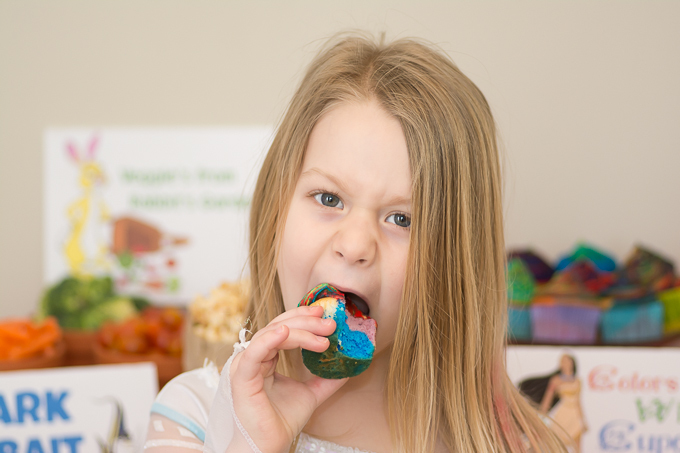 Invites went out and the party planning began. 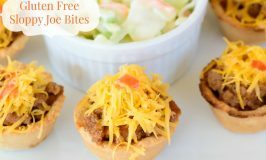 I wanted to include as many of our family favorites in the theme as I could, the kids and I started brainstorming and hitting up Pinterest for some great food ideas. 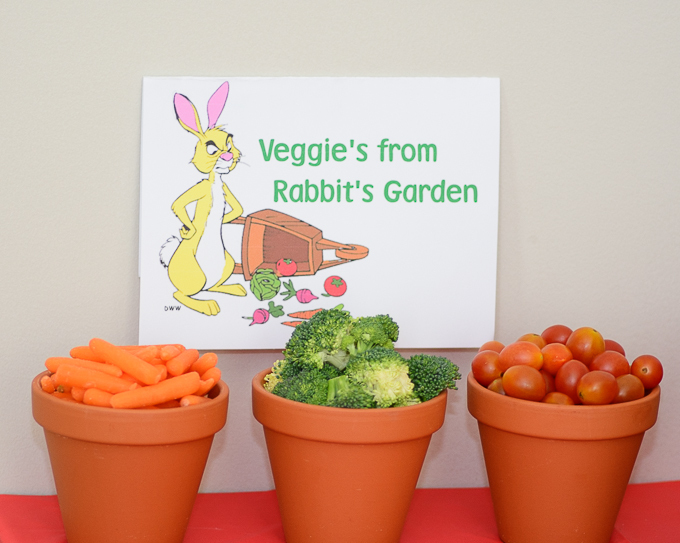 We started with veggies from Rabbit’s Garden, we got some plastic pots from our local craft store and filled them with carrots, broccoli and grape tomatoes for a healthy treat. 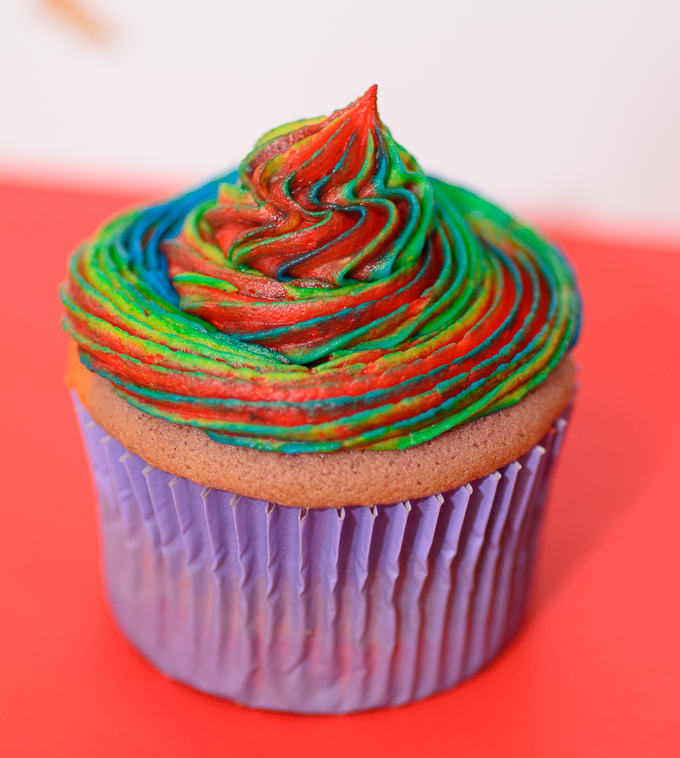 In my amazing box of goodies was a tie dye cake mix from Duff, the kids had a great time creating their own colorful cupcakes and decorating them with rainbow icing for beautiful Colors of the Wind cupcakes. Apparently she was wearing her “angry eyes” lol! 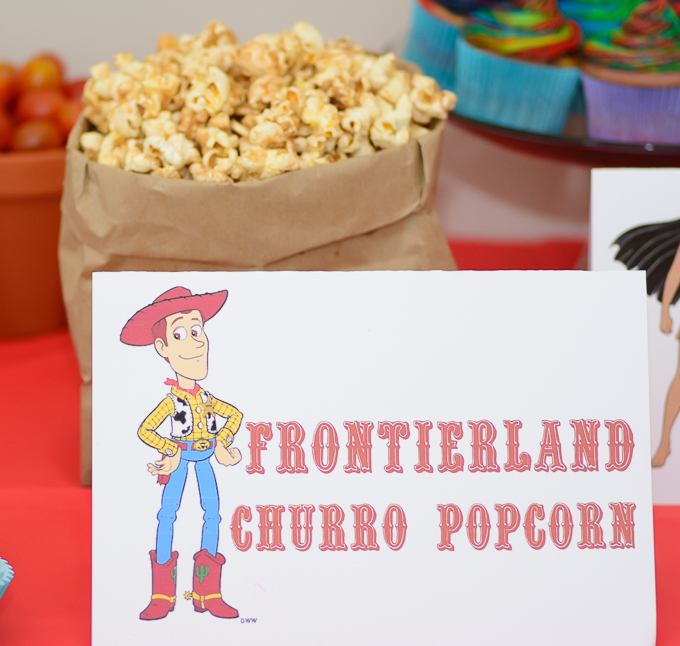 So, my husband and kids are kind of obsessed with the Churro stands in Frontierland, they would each churros for breakfast lunch and dinner if I let them, so I had to find a way to incorporate churros into our snack table 🙂 I found this great recipe for churro popcorn a few months ago and decided it would be the perfect snack to serve! Next up we paid homage to a family favorite, Finding Nemo. 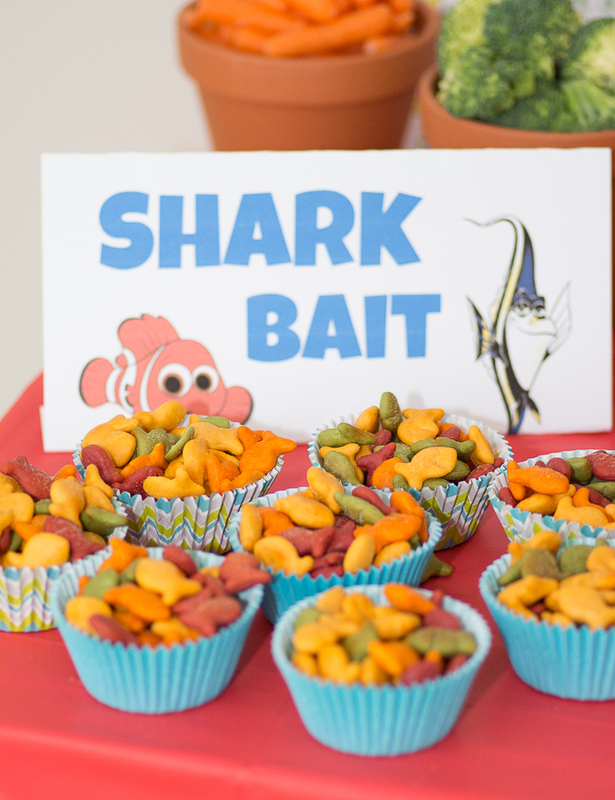 Shark Bait was a huge hit! 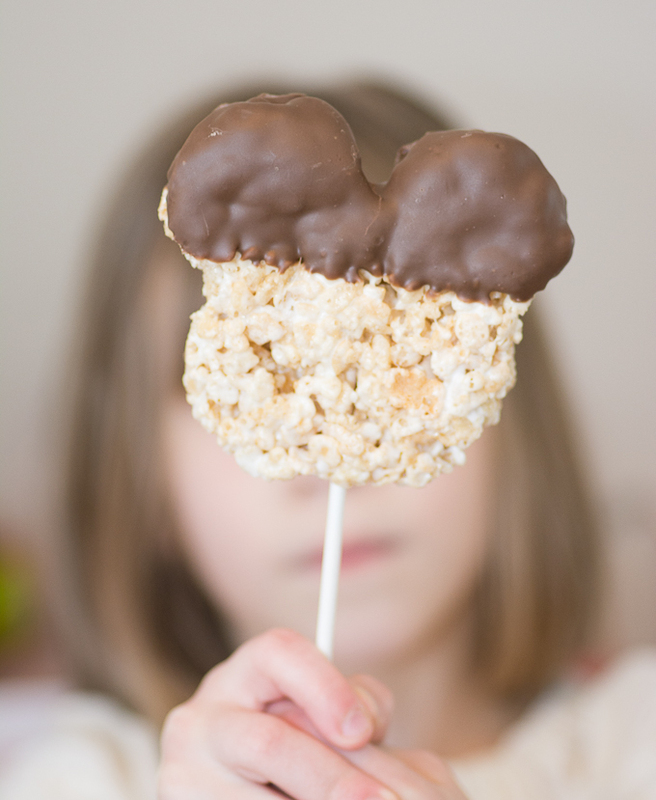 and of course now party would be complete without chocolate dipped rice krispie treat mouse ears! 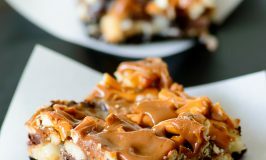 I created these fun treats with my Mickey Mouse sandwich cutter and trusty chocolate melting pot. That takes care of the food! 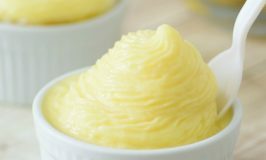 Now on to the PAR-TAY! 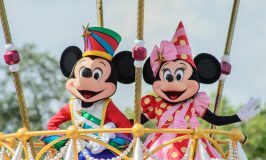 Everybody embraced their Disney Side in a different way, we had Donald Duck, Elsa, Minnie Mouse, Tiana and so much more! 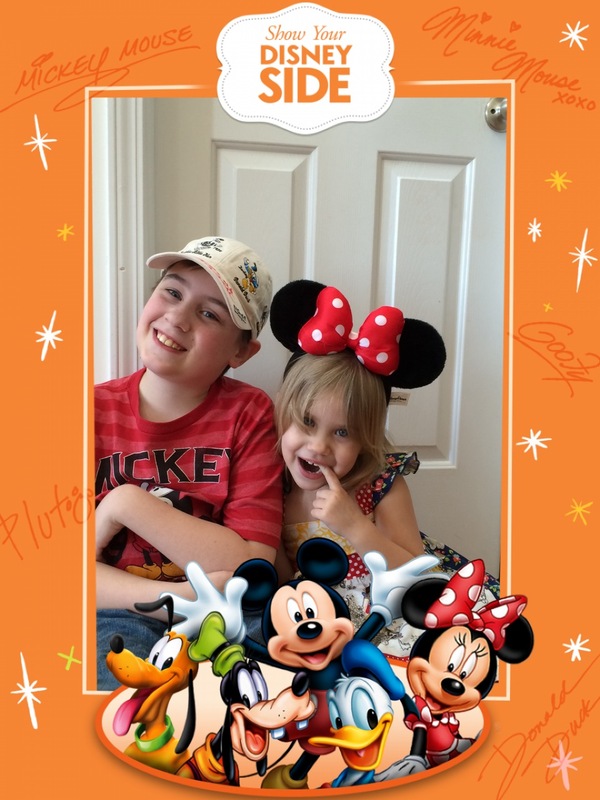 I loved going around and snapping pics using my Disney Memories HD App (Like my favorite app ever!) to decorate the pics with frames and stickers, then I was able to print them right from my phone with my awesomesauce HP envy printer. Perfect souvenir from our great party! 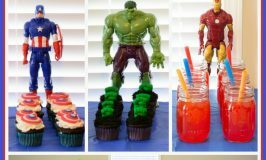 We had a great time hanging with our fellow Disney fanatics and I’m so grateful for Disney Parks and Mom Select for sending me a fun box of goodies to make this party possible!